A middle-class population and falling tariffs on car imports are the main drivers behind Vietnam’s car market. Vietnamese policymakers are looking at ways to safeguard the domestic automobile industry against foreign rivals, based on an official document released by the government office. Vietnam’s automobile industry is expected to face more hurdles in the years to come as the local market opens up to foreign competitors. 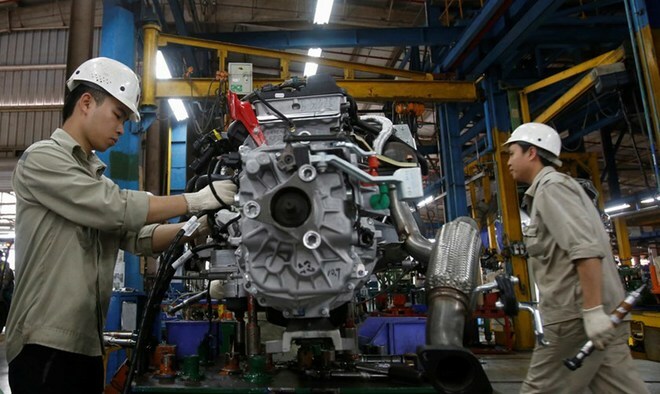 Locally-assembled cars could cost 20 percent more than those imported from neighboring countries such as Thailand and Indonesia in 2018, when tariffs on car imports into Vietnam from other ASEAN countries will be cut to zero from the current 50 percent, the trade ministry said. The government has asked trade officials to look at ways to prevent a surge in car imports. Meanwhile, the finance ministry will review import tariffs on cars and monitor their origin to prevent tax dodging. Vietnamese policymakers also plan to adjust import tariffs on automotive parts that are not available in the domestic market. The Southeast Asian country has targeted car manufacturing as a “spearhead industry” that could help it move up the global chain. However, the fact that it still heavily relies on imported cars to meet local demand has exerted tremendous pressure on local manufacturers. Vietnam imported 15,270 units in the first two months this year, a 35 percent jump from a year ago, customs data showed. The import surge comes as Vietnamese people switch from motorbikes to cars, with more than half of the imported cars classed as midsize sedans, based on official statistics.